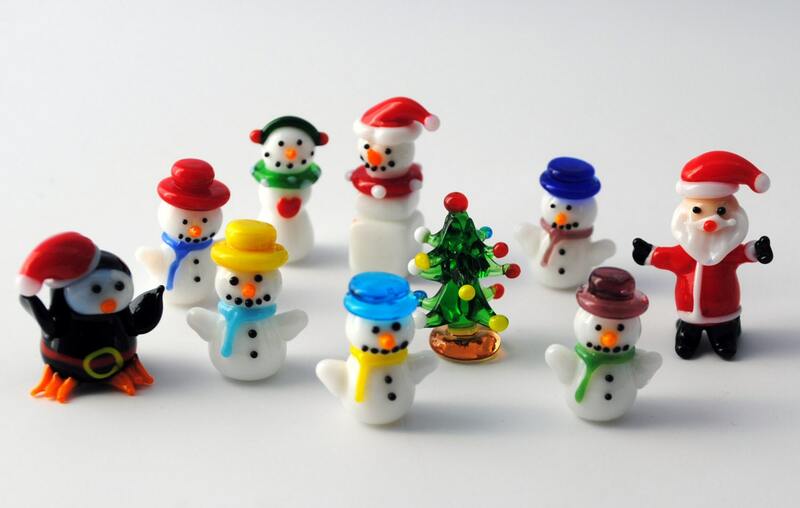 Handmade, lampworked Christmas miniature figurines. What a cute little snowman and tree!! 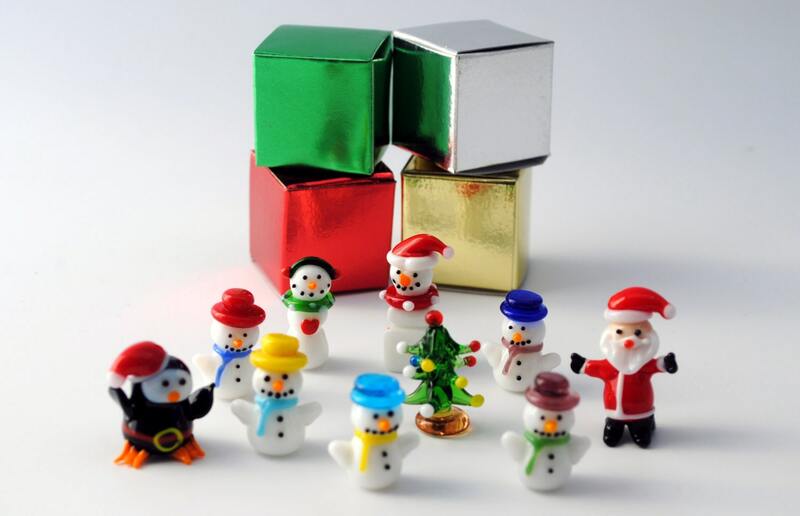 These are sweet little figurines, my kids will love finding them in their stockings!! Shipping to Ohio was super fast, too! Wonderful, beautiful and so detailed. Thank you so much! Prompt response from seller in regards to questions I had. The zebra we received was finely detailed and beautiful. The snowman was adorable.